In anticipation of the colossal hurricane known as Irma, Floridians have mobilized to purchase everything they could conceivably need to weather the storm and protect their property. Stories of lines at gas stations, shortages of water at grocery stores, and lack of sand for sandbags are just a few examples of the scarcity facing residents and travelers as they prepare for Irma's arrival. Now, many of you may have a working understanding of supply and demand, the foundation of modern economics. The law of supply and demand shows that the quantity of any good supplied will increase along with the price of that good, whereas the quantity of any good demanded will fall along with the price of that good, and vice versa. Equilibrium then is the exact point at which the quantity of any good supplied at a given price matches the quantity of that good demanded at that price. So, in the case of coveted supplies during a state of emergency, market agents will immediately experience a dramatic influx of demand while quantity supplied remains fixed for the time being. Therefore, the market's response, as illustrated by the law of supply and demand, will be a sharp increase in the price of those goods until a new equilibrium is reached. So, in the case of a sudden increase in demand, higher prices are the appropriate economic response to excess demand over what noticeably becomes undersupply. This prices the market's goods in such a way as to incentivize supply where it is most highly valued at that given time. Shortages spawn from underpriced goods that enable consumers to buy up products under pretense of normal circumstances when circumstances are anything but normal, at a time when proximity and timeliness would endow consumers with a marked advantage over their counterparts who might otherwise be willing to pay appreciably more to fetch those goods. Imagine a family who's eager to stock up for the storm. 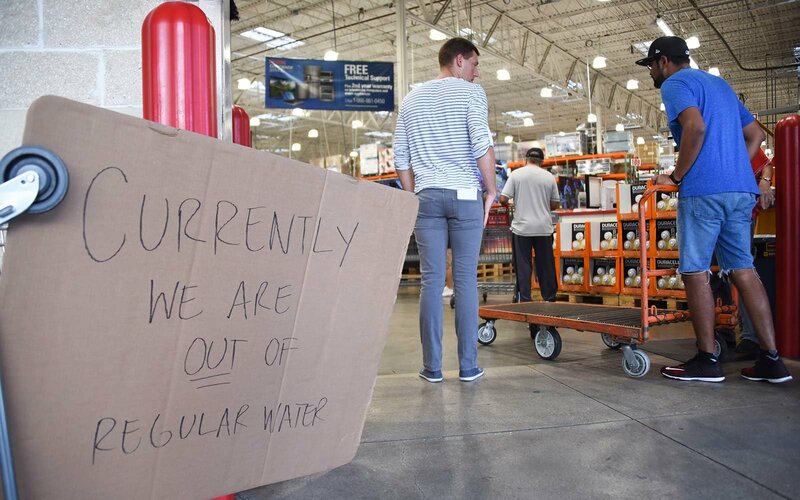 They approach the bottled water and notice that the crates are full of regularly-priced product. The value of that product is nearly always worth this amount to the family, so they would naturally feel comfortable buying as many as they could transport back to their vehicle, knowing that they would eventually use them in the future anyway. However, these bottles of water could have produced far greater marginal utility for the many who haven't yet arrived at the grocery store, whose demand for water far outstripped the market price for those bottles. But before they knew it, the family that made it to the store before them benefitted from proximity and timeliness, in effect causing a misallocation of goods away from their most valued ends toward waste. What's more, underpriced goods then breathe life into an informal economy, or black market, which is far less efficient with marketing and vetting those goods. Ultimately then, higher prices resolve the market problem. Imagine that you have a 2016 Mercedes-Benz SLK convertible. The market in your general area is prepared to sustain an asking price of $50,000. A bidder 1,500 miles away calls with an offer of $51,000. Meanwhile, a private dealer from 2,400 miles away sends you an offer of $85,000. The $51,000 offer would likely prove a marginal loss relative to the regional offer, considering the price of transportation. In this case, we will assume that the seller remains responsible for all delivery costs. The $85,000 offer, however, is beyond any other known offer, even considerably higher than the original MSRP. This is virtually a no-brainer. You will likely do whatever you can to accept this deal, even if this means driving the entire 2,400 miles non-stop. This is the case of the law of supply and demand. Although the gyrations in price can prove jarring during emergency scenarios, the myopic and politically-serving alternative of price fixing is far worse and much more painful. The short-term price gyrations, though palpable and widely unpopular, will ultimately entreat stimulated supply as an expression of dire market demand. This is a matter of marginal utility as measured against marginal cost. If you, a consumer, are positioned to pay no additional premium over retail price on the marginal product, there is virtually no market impediment to over-consumption when still others would put those scarce products to more valuable uses. What's more, those higher prices represent an opportunity for far-off businesses to endure higher costs of shifting inventory. Think about it this way: how much of your personal product did you transport to the threatened regions during these most recent two events? If you are like most Americans, you failed to contribute anything. That is manifestly an expression of profit motive. Had the perceived gains been higher, more suppliers would become motivated to act. You see, businesses are operated by human beings, just like the rest of us who operate within the confines of our limited budgets. It's far easier to cast blame on business when you're unaware of this distinctly human feature. The point here is that the prices during a shortage are simply too low to warrant the type of supply change that would enable the most efficacious distribution of demanded resources. Ultimately, the appropriate time to prepare for any emergency is not the day or week that it arrives, but rather as far out as humanly possible. If a consumer awaits a shrunken time window to purchase everything that he or she might need, during a time when others are scrambling to do the same, the supply of goods is simply going to remain too low to accommodate that demand at that previous price. This is undeniably true, as the quantity of goods is not infinite. As an investor, the very same remains absolutely true. When an asset or stock is undervalued, more investors can be accommodated at that given price. As soon as investors begin to pile into a given investment, that window shrinks precipitously to a point at which late-comers will pay increasingly huge premiums to buy on the way up. Meanwhile, some patient risk-taking investors held onto those assets and stocks the entire time, even while fellow investors may have mocked them for foregoing the huge gains of alternatives. That same philosophy permeates the fist example. Ultimately, though, prices are a collective representation of time preferences. They are a veritable signal in time for the value of scarce resources. The higher prices effectively maintain stock by tacitly encouraging consumers to ration supplies for that more efficacious distribution of said stock. The price appears "immoral" only on a relative basis, in comparison to those normal times when demand has been far more stable and predictable. 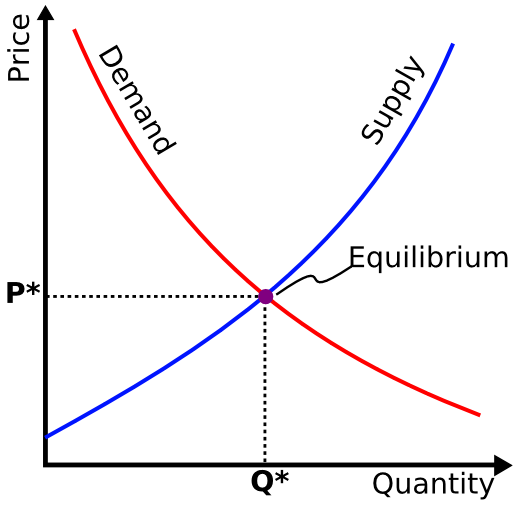 The only potentially-immoral threat here to any distribution mechanism is that system by which preference is inadvertently paid to those who first showed up to buy up all of the product at its unchanged price, because that proximate individual or household, and his or her counterparts, valued the product at many multiples of its retail price. Ultimately, there's nothing inherently moral or immoral about the price system. It is plainly an expression of thresholds at which property owners exhibit willingness to sell their belongings to other property owners who in turn voluntarily assign their own value thereto by approximating the value of their own respective bids and associated opportunity costs. Both vendors then, those of resources and of money, compete against others on the basis of price and quality to arrive at the most efficient satisfaction of wants. In the end, it is the failure of the price system, when prices fail to reflect actual demand, which leads to market shortages.